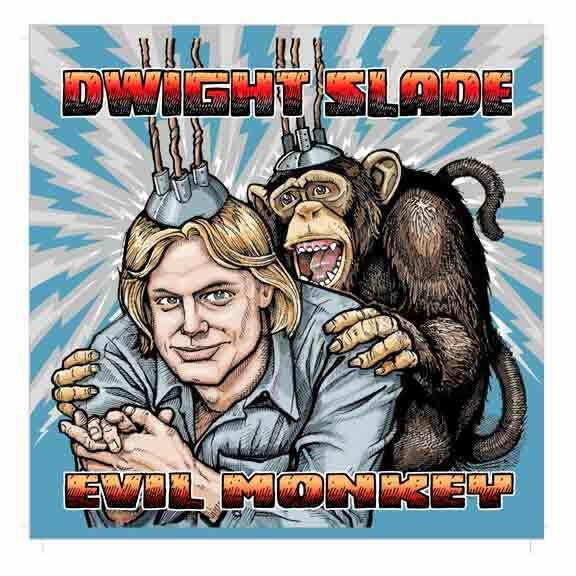 Dwight’s third CD, “Evil ?Monkey” is hot off the press. Recorded live at ACME Comedy Club in Minneapolis. The long overdue. Much anticipated. Clamored for. 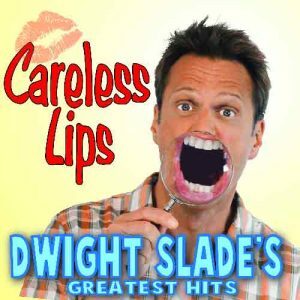 Dwight’s third CD is hot off the press. Recorded live at ACME Comedy Club in Minneapolis. Now that God has personally reached down from the heavens to smite Dwight Slade, it’s just him and his eponymous “Evil Monkey” left. Ten bucks says the monkey takes the series. 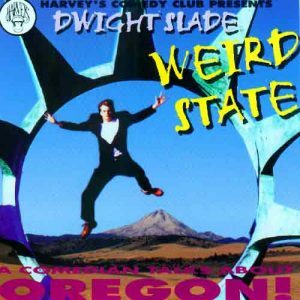 A childhood friend of and now the heir apparent to revered stand up Bill Hicks, Dwight Slade shares his one-time partner’s smooth accent, laid back wind-up, and general disposition to let the monkey on his back and the chip on his shoulder take center stage. Buffering some of his darker descents with asides on the absurdity of NASCAR on the radio (up next, the international mime finals!) and the self-absorbed ability of people to, say, rub their posterior on fellow passengers when stowing their luggage on an airplane or yell into hands-free telephones, inadvertently revealing their own inner maniacs while sauntering down grocery store aisles, Slade still admits that he only loves children because they listen to their evil monkeys. At the end of the day, when the monkey urges him to push an elderly woman down an escalator, Slade fights the impulse, but, with his ability to keep his audience just slightly uncomfortable, gives every impression that he’s only barely still winning the match. Available now from Stand Up! 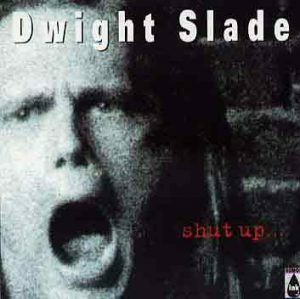 Records, Dwight Slade’s “Evil Monkey” gives a hilarious and well-honed glimpse into one weary man’s inner struggle.